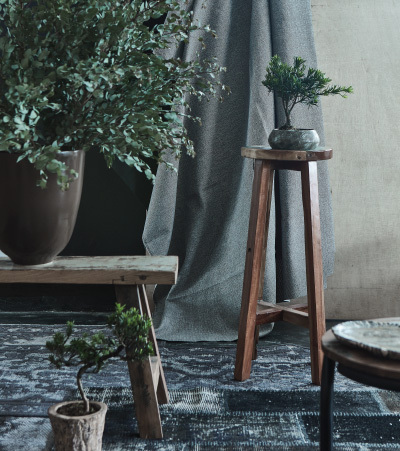 move over, hygge, there’s a new décor trend in town. 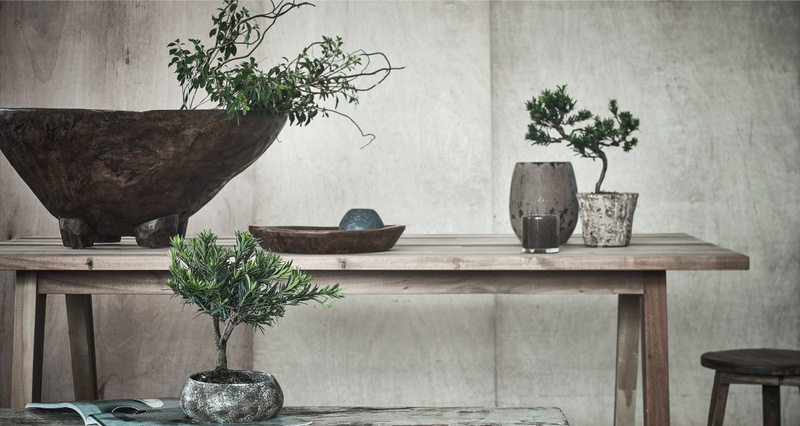 this year, it’s all about wabi sabi: a Japanese philosophy that finds beauty in imperfection and transience; honours all things old, weathered and natural; and sits at the heart of everything we are at TREE. 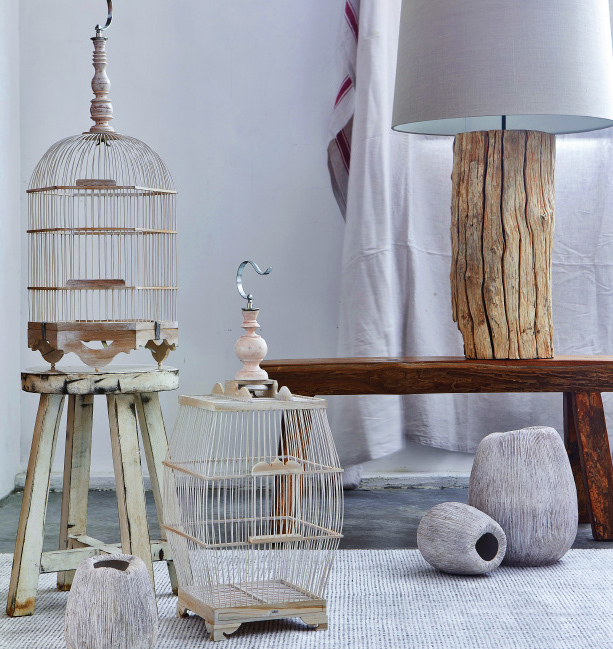 we’ve curated a selection of perfectly imperfect pieces that embraces the values of wabi sabi – with the exception that they’re made to last! 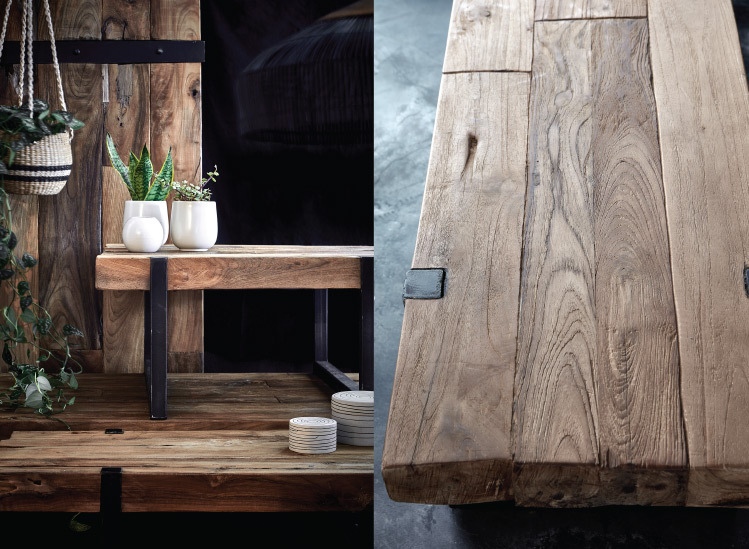 the story of our boat wood begins in Indonesia, where the wood is salvaged from old fisherman vessels that once sailed the Southeast Asian seas, and is upcycled into characterful furniture. 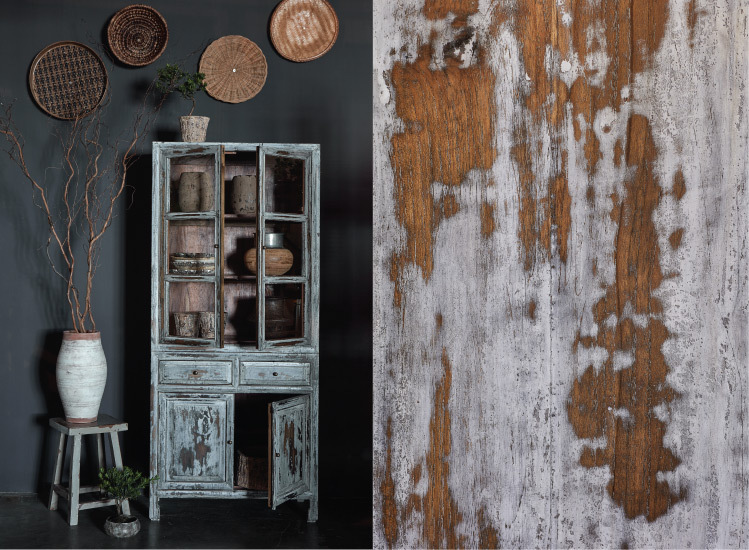 each piece features dents, bolts and chipped paint surfaces, which together give way to a lovingly weathered look that’s perfect for any interior. 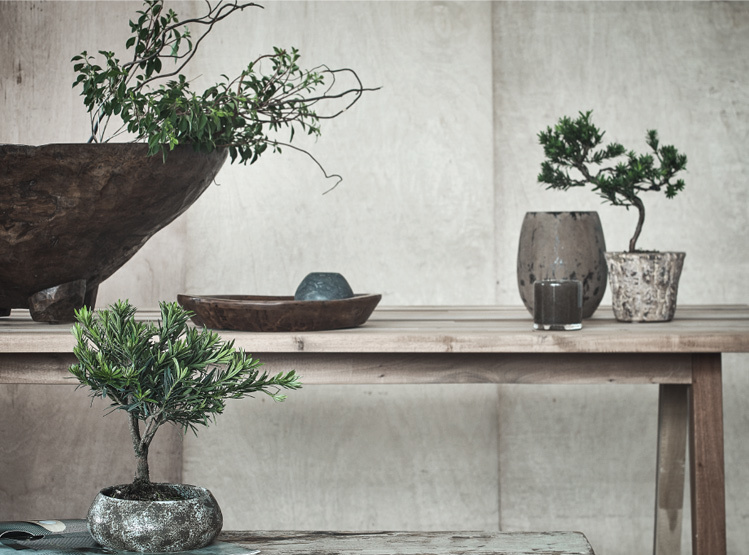 formed by the hands of skilled artisans, our handcrafted pottery are full of individuality. 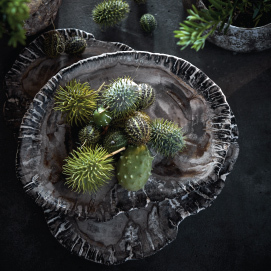 from a tilted rim, an unevenly carved line, a crack in the glaze, to scattered speckles – it’s these variations that make each piece characteristically unique, and prove that beauty does lie in their imperfections. 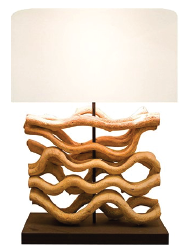 our individually stunning lamps are truly works of art, and are handcrafted using organically formed materials from Mother Nature. 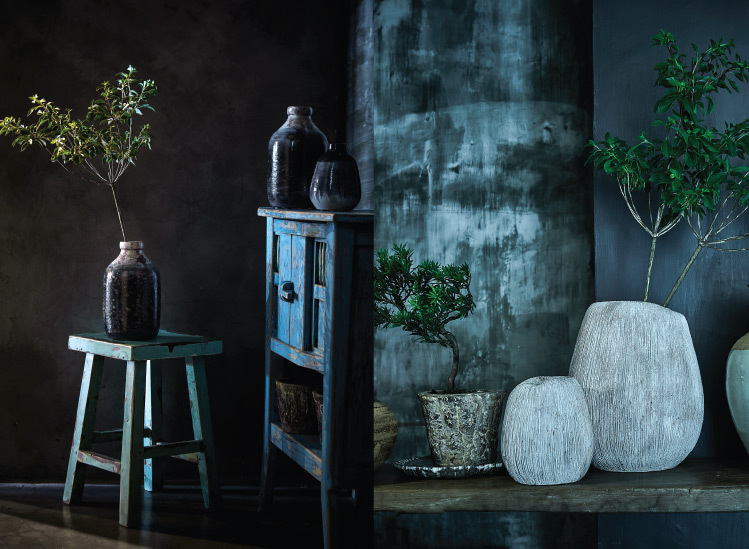 local artisans experiment with an abundance of resources that have been found across Thailand – such as driftwood washed ashore and fallen bark in lush forests – and assemble them to create sinuous, sculptural and naturally striking pieces to illuminate your home. 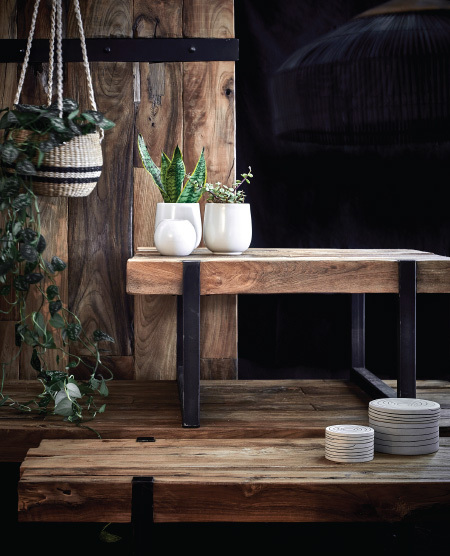 originating from the island of Sulawesi, Indonesia, celebes’ chunky off-cuts were once fence posts, and bear deep wooden grains and natural markings from enduring decades of harsh weather conditions. 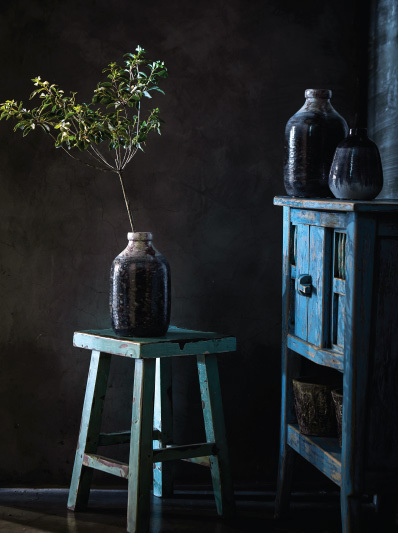 their incredible resilience have given way to a naturally unique rustic patina, which is enhanced with cool black iron detailing for a perfect balance between raw and refined. 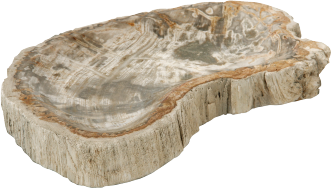 its story unfolds when fallen lumber is completely submerged in sediment, protecting it from oxygen and natural decay. 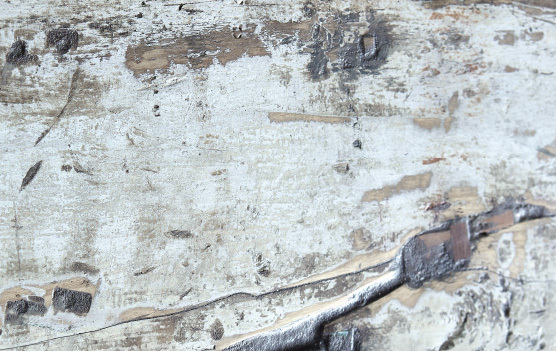 with time and plenty of access to mineral-laden water, this wood’s cellular composition is slowly replaced with inorganic materials, allowing the piece to transform into stone. 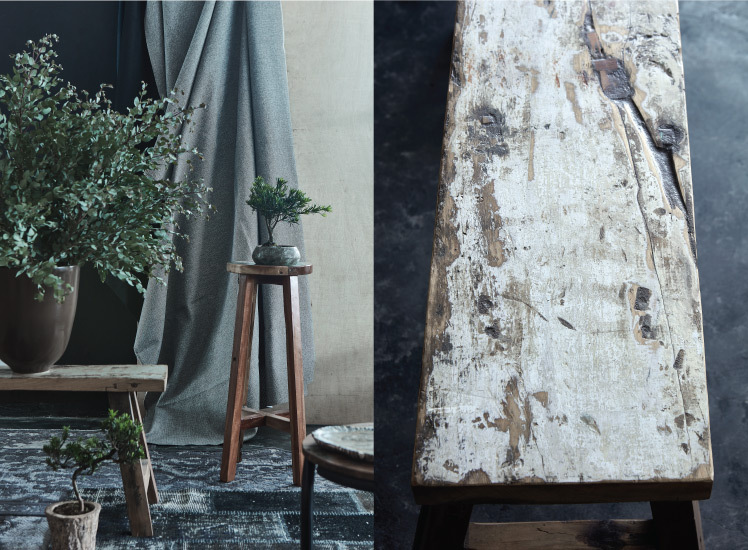 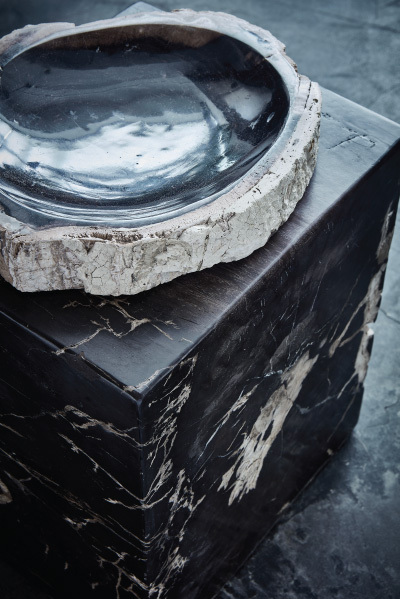 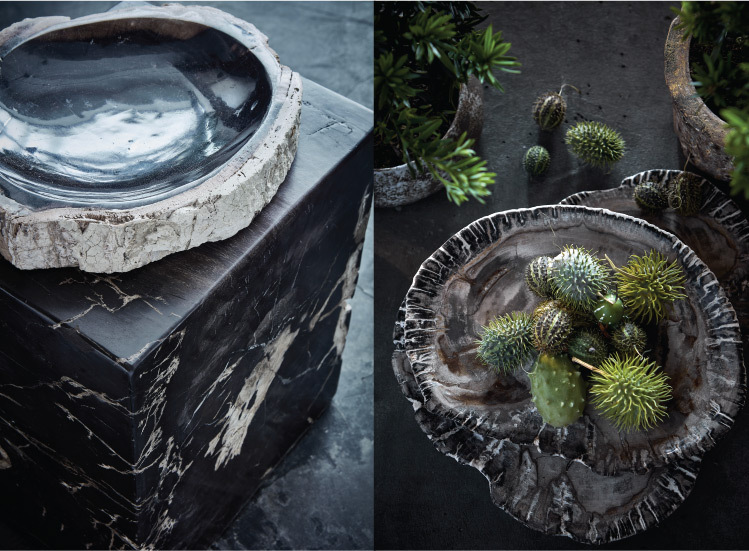 the result is a collection of tables, stools and finishing touches with a beautifully petrified effect, with each piece preserving its earthy wood structure. 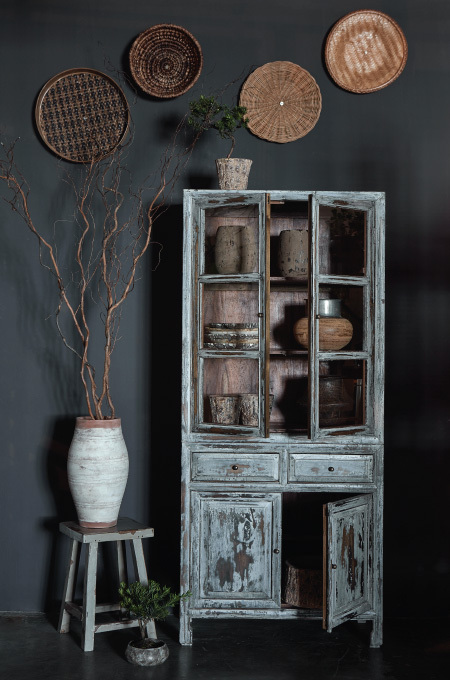 our vintage wooden cabinets are brimming with character, and have retained their original hardware, etched glass detailing and distressed surfaces to make them each individually unique. 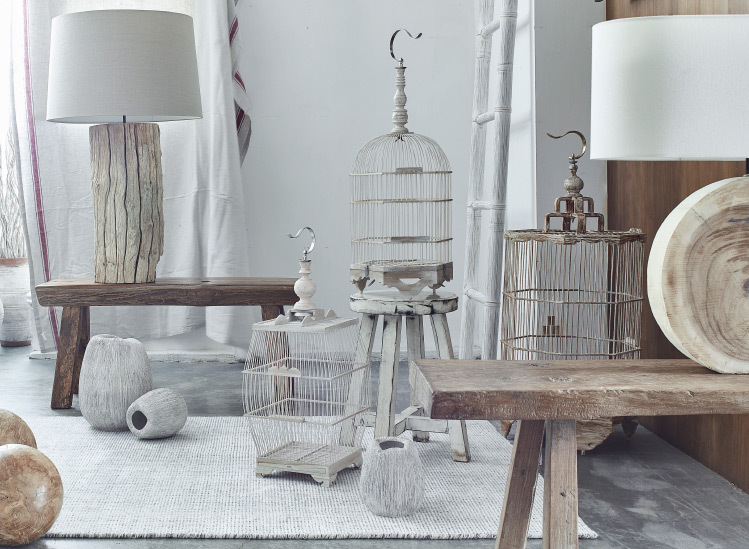 with a little loving care from our sterling team of carpenters, these pieces are ready to settle into their new homes and bring a charmingly antique appeal.